Today the combined choirs of Boys, Girls and Men joined together (just over seventy singers in all) for the final Solemn Choral Mass of the choir year. We bade farewell to two Connors, both Choral Scholars, with twenty years service between them (as Probationers, Choristers, B&S Scholars, and finally Choral Scholars), four girls with just over thirty years service between them, including Head Chorister, Jo, and Mr David Hyde, one of our Lay Clerks who has notched up nearly twenty years service to the choir. In all the choir have sung 209 services this year – a remarkable achievement for any Parish Church. 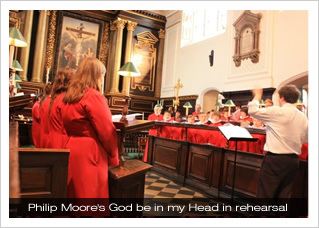 To mark Mr Hyde’s retirement, the choir commissioned a setting of ‘God be in my head’ from Organist Emeritus of York Minster, Philip Moore. This was sung alongside the Keble Missa Brevis by Philip Stopford (who accompanied us on our recent choir tour to Paris, where we also sang his Mass), and of course, the service concluded with Psalm 150 as the choir departed. 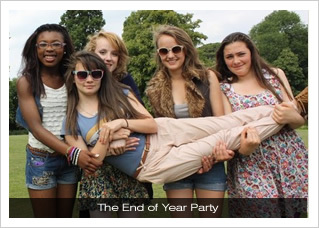 No sooner was the service over than choir uniform was dispensed with, choir pay pocketed, and we were off to Little Houghton House for the end of year party. Over 100 people tucked into a great Barbeque and selection of food and drink. Many thanks to Mrs & Mrs Davidge for their generous hospitality, to Mr Kentigern-Fox for the use of his marquees, and to Mr & Mrs Donaghue who manned the Barbeque and Drinks stall. 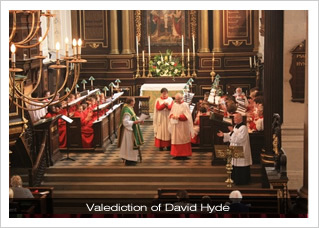 The choirs return at the very end of August for their next CD recording, Carol of Joy, then to St Paul’s Cathedral to sing Choral Evensong, returning back to All Saints on Sunday 11 September at 10:30am, when the Boys and Men begin the year with a Requiem Mass, sung to the setting by Fauré, to mark the tenth anniversary of the 9/11 attacks in New York and Washington D. C., and the twentieth anniversary of the founding of the British Firefighters Memorial Charitable Trust.